This is sure to have "Simpsons" fans yelling, "woo hoo!" 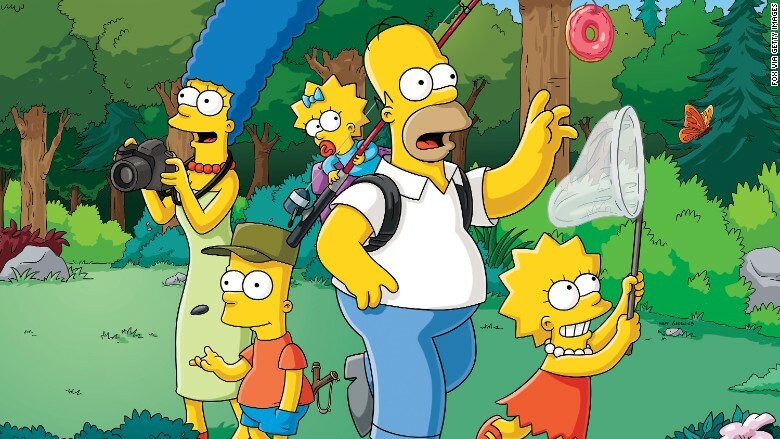 On Monday, Fox renewed "The Simpsons," the beloved animated sitcom, for a 27th and 28th season. This would take the longest running scripted series in TV history to an incredible 625 episodes. "I've outlasted Letterman, Jon Stewart and 'McDreamy,' because I have something they don't: a costly 200-donut-a-day addiction," the animated Simpson patriarch, Homer Simpson, said in a statement. The series, which believe it or not started in 1989, has been one of the most well known and popular shows in television for nearly three decades. It's done this by managing to stay relevant and critically acclaimed over the years. It was named "Greatest American Sitcom" by Entertainment Weekly in 2013 and has won 31 Emmys. It has also held a steady audience bringing in an average of about 6 million viewers this season as a major part of Fox's Sunday night lineup. The series has also spawned countless pieces of merchandise, theme park rides, and even a 2007 movie, "The Simpsons Movie," which made over $500 million worldwide. And last year, "The Simpsons" moved to the new digital frontier by creating "Simpsons World," an all-encompassing online video site that streams every episode of the comedy. This was after FXX held the popular "Every Simpsons Ever" marathon in August, which broadcasted every episode of the series over a 12 day span. FXX bought the cable and online rights for the series for a reported $750 million in 2013.